Next time you chomp into a snack or gulp down some water while out and about, make sure your four-legged buddy can do the same. Make sure you have a Ruffwear Quencher on hand. Don't underestimate the importance of your best mate's hydration. 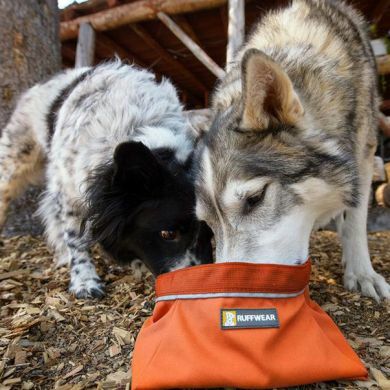 Dogs need food and water on the go just like we do. 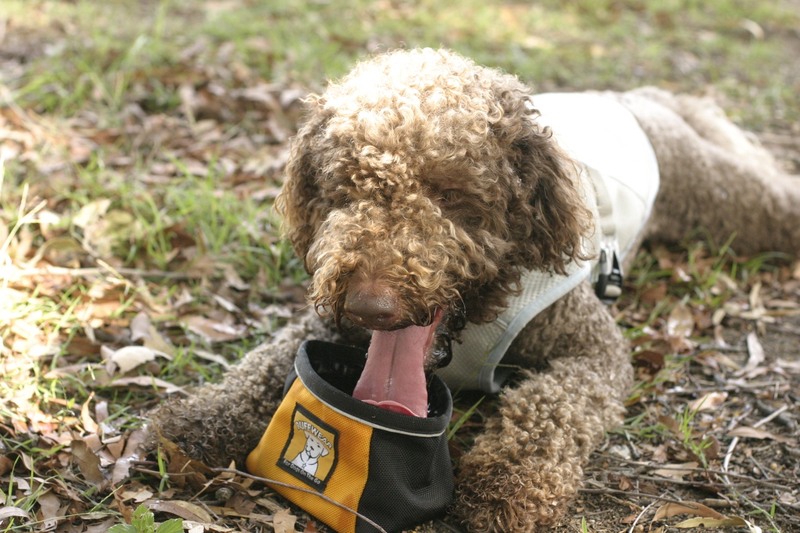 You can serve up both water and food with the Ruff Wear Quencher. 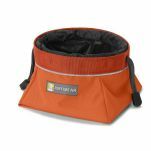 And with it being so lightweight, neither you nor your furry sidekick will mind toting this compact foldable bowl. The inside liner is guaranteed to be waterproof so you can leave it out all day while camping, and it won't drain like those cheap imitations. Come summertime here in Australia our dog Pluto certainly wouldn't want to be without hers! Comes in 3 sizes to match your dog's size or your adventure type. great product , not really much to it fill it up with water let your dog drink then tip out the excess and stuff it back in your pocket , and you and your mate are on your way . Fantastic product, exceptional quality, dries quickly and rolls up small enough to go into the side pocket of the "Singletrak Pack" Highly recommend. Read 9 customer reviews of Ruffwear Quencher. The average customer rating is 5. 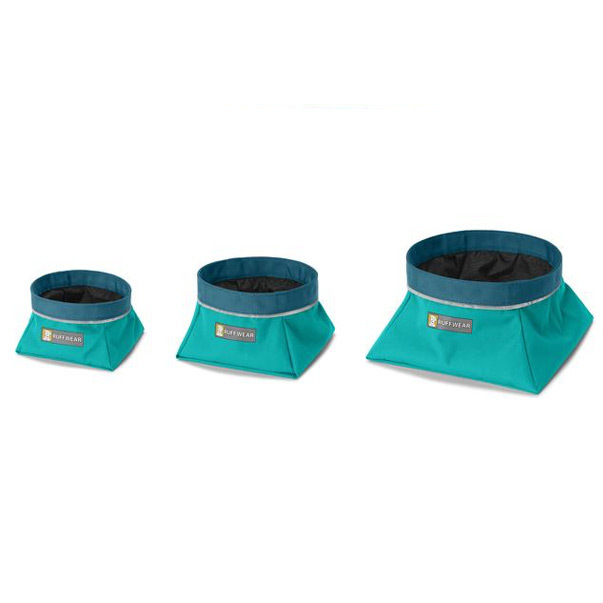 Durable, lightweight and folds up for easy storage. We love it! Very handy on hikes or beach trips. 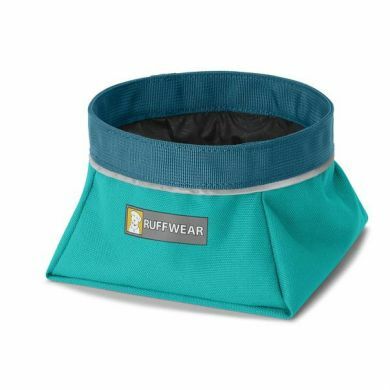 I ordered the largest size, perfect for extra slobbery pooches like mine - the sides trap all that extra water, which is great when you're trying to do a water break in your car without the risk of flooding. Before I had this my dogs would drink out of my bottle , not ideal I guess not that it ever worried me , but now all good , love it ! This is a great sturdy bowl. And it holds an amaing amount of water too. Extremely pleased with the quality of service from these guys provide as well. Love, love this! 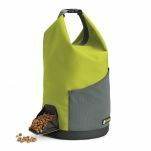 So easy to carry and it holds enough for my two bug dogs. Definely going to get a couple more to put in my friends' Xmas Dtockings!!! Surprisingly large, folds into a very small size to fit your pocket, and rigid when filled with water. Just what we need for the car or travelling on forest trails on the horse with the dog alongside. Excellent quality and very handy. Isn't too wet to pack away after use & dries quickly. I carry it with me when walking my greyhound in warmer weather. 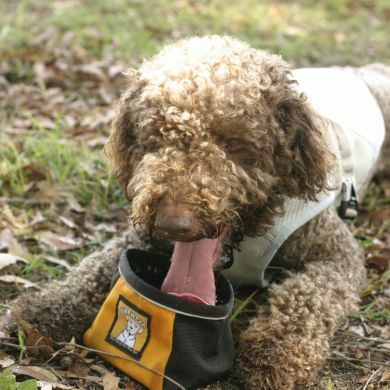 Great for giving him a drink mid-walk, but I've also used it as a bucket to pour water on him to cool him down! Great little water bowl. 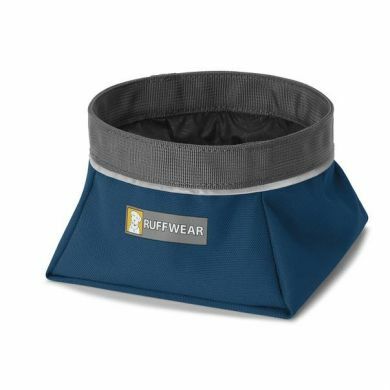 Folds up small enough to put in the pocket when going for a walk. Dries quickly is well made. I keep a spare in the car so always have one handy. very high quality item. easy to carry and store. able to use anywhere, anytime.